Being an ‘advanced’ wine lover is someone who has a great depth of knowledge and is passionate about their wine. They know their Bordeaux’s from their Burgundies and they know which grape and soil types are associated with which different wines! They know exactly which wines work well with different food types, as well as knowing how to taste wines in the correct manner to appreciate them fully. 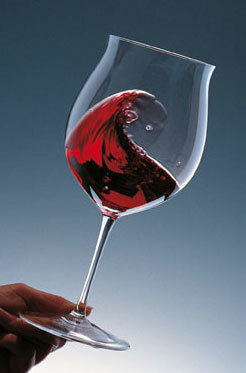 Someone who’s an ‘advanced’ lover of wine will appreciate a good quality wine, but only if it’s served in a good glass! As with most things, you normally get what you pay for and the same applies with glassware. Wineware have a wide and varied range of high quality glassware available, perfect if you’re looking to enhance your wine enjoyment as well as your wine knowledge. With a whole host of different glass manufacturers available, most of them tend to have different entry points with regards to glass quality and style. The advanced level is a mixture of machine and handmade crystal, with the latter providing you with the best quality glass around. Elegant and delicate glassware go hand in hand with good quality wine. Most manufacturers provide ‘grape specific’ glass types, which means particular glasses, have been designed specifically for that grape or regional type of wine. The style and shape of the bowl, as well as allowing a good surface area enabling the wine to breathe, will also dictate where the wine enters your mouth and where its directed onto your palate, providing you with the best possible taste and experience. A Burgundy glass, for example will usually have a far wider bowl than Bordeaux and this is a good comparison to make when you can. Below, we’ve listed our most popular wine glasses and wine decanters for advanced wine lovers and these will undoubtedly help you further in your wine knowledge, but more importantly your wine enjoyment. Click here to view Wineware’s entire glassware and decanter collection.